Guernsey boss Jordan Reynolds is worried by the gap developing between his club's first and second teams. The island side have been hit by a number of injuries and , with second string players finding it hard to adjust to the higher level. "The gap between our first and second team is huge," Reynolds said. "We've had the fortune of being promoted for two years, but some of the guys get left behind," he added. And Reynolds says it is now harder to put replacement players straight into the side as the gap between the first team and the second team, which plays in the Sunday Channel Island league, is too vast. 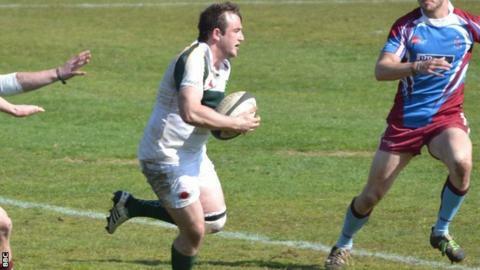 "When you're trying to integrate them into the team now it becomes a lot more difficult," he told BBC Guernsey. "If you look at any other side they have firsts, seconds, thirds, fourths even down to fifths. "Our second team aren't really even training at the moment so it gets to the time as a coach when you start weighing up what are your safest options and what are your best options. "I think integrating these guys slowly is what we'll have to do, but it'll be a big learning curve as well."